Happy Harbor Comics — known as much for fostering a community of book lovers as for its stacks of comics and its sales — will remain open after an entrepreneur from Grande Prairie bought the store. 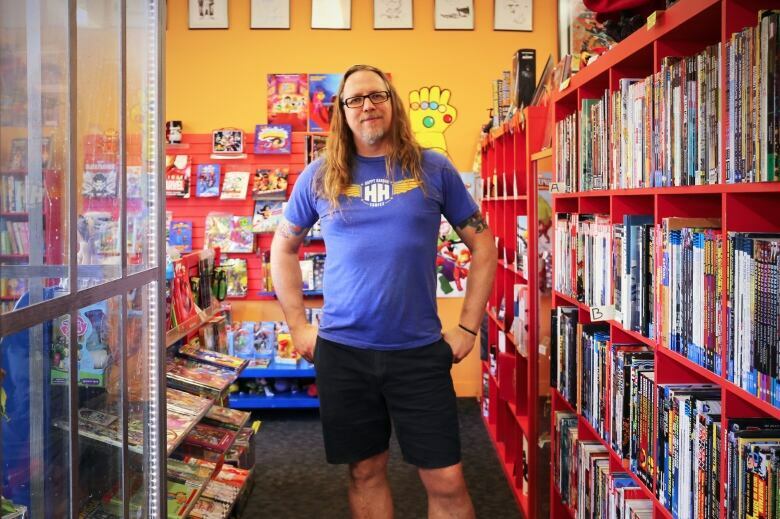 A beloved Edmonton comic book store — known as much for fostering a community of book lovers as for its stacks of comics and its sales — will remain open after an entrepreneur from Grande Prairie bought the business. Happy Harbor Comics announced earlier this week it would be shutting its doors for good, but news came on Saturday the store will become part of the Wonderland Games franchise. New owner Vincent Joyall said he isn't keen to change the core values of the business. "[Happy Harbor] is basically the example I strive to meet," he said. "They've been a positive role model in the community for how to hold yourself up as a business person and as a comic book store." Joyall is based in Grande Prairie and has owned Wonderland Games for the past seven years, after taking it over from the family that founded the company. There are stores in both Grande Prairie and Prince George. Joyall had been eyeing a move into the Edmonton market but the opportunity never seemed right, especially with the presence of a much-loved business like Happy Harbor. Then, he heard news of its closure. "I feel this is a dream come true, in all honesty," he said. "I've admired Happy Harbor for a long time now, and it's a little surreal, to be honest. We've got big shoes to fill but we're very ambitious, so we think we can fill them." Happy Harbor has been operating in Edmonton since 1999. It became known as a community hub, and for initiatives such as an artist-in-residence program and outreach to libraries. 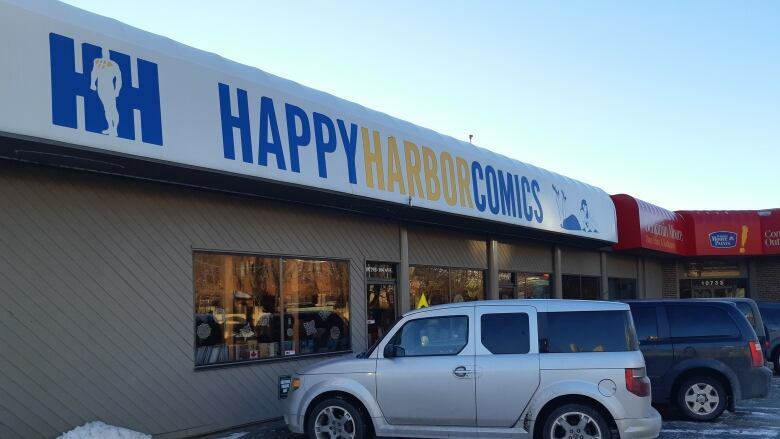 Jay Bardyla, who founded the store, said he's pleased the new owner will maintain a section called the Happy Harbor comics studio, where the artist-in-residence program will continue. "It's good a family-owned company is buying the business, not because of the stock, or the fixtures, but because of the staff and the programming and the community support," he said. "They want to maintain that, they see and know the value in that." Wonderland Games will remain in the same location as the current store, and will eventually include a restaurant component, but Joyall said that will take some time to happen.